STEPHENVILLE – Kathy Thomas earned her second career Lone Star Conference Offensive Player of the Week award for her heroics in lifting Tarleton State to a pair of wins last weekend. Thomas put together the best two-game stretch of her Tarleton career last weekend to lead the TexAnns to a pair of wins over Lubbock Christian and Texas-Permian Basin at the Lowe’s Market Thanksgiving Invitational at Lubbock Christian. She scored a career-high 25 points on 9-14 shooting and 7-7 from beyond the arc Friday night to pace the TexAnns to a 73-71 overtime win against Lubbock Christian, snapping the Lady Chaps 18-game home-winning streak – which entered the weekend as the third-longest home winning streak in NCAA Division II. Thomas followed up that performance with 17 points, nine rebounds, two blocks and two steals to lift Tarleton State to a 65-61 win over Texas-Permian Basin, who entered the game undefeated. For the weekend, Thomas averaged 21.0 points per game with 42 total points to go along with a team-high 13 rebounds, a team-high two blocks, three assists and three steals. She shot .630 from the field on 17-27 shooting and .800 from beyond the arc on 8-10 shooting. 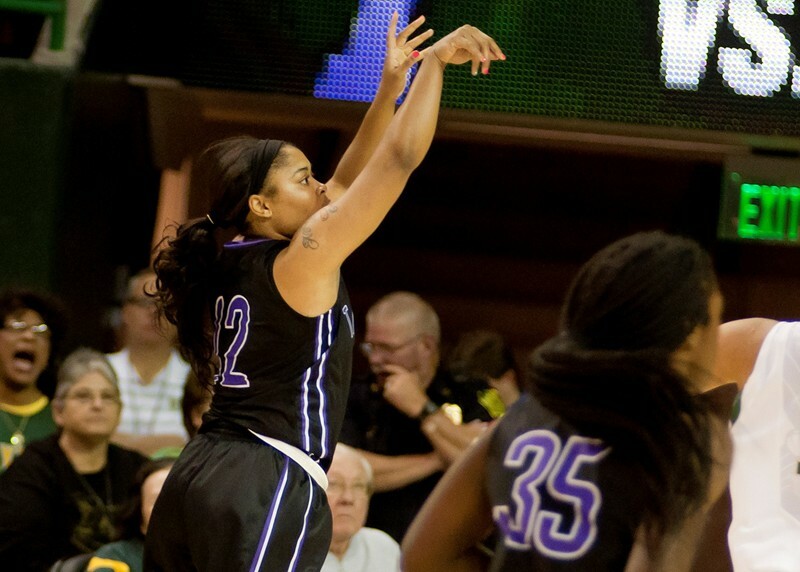 This is the first weekly basketball award of the season for Tarleton and the second honor for Thomas, who won her first award on January 13, 2014. Thomas and the TexAnns will host Arlington Baptist at 5:30 p.m. Tuesday night in Wisdom Gym on ‘Toys for Kids’ night.